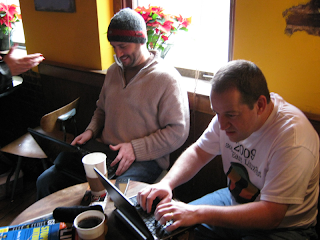 Next Saturday, the 12th of December, 2009 we are going to have the first Ubuntu Hour event in North Carolina. It will be held at Krankies Coffee in beautiful downtown Winston-Salem from 11:00 am until noon. I suppose longer if folks hang out longer. Actually Krankies isn't in a real pretty part of downtown Winston but it is a pretty cool place. Not only do they roast their own coffee beans but they also have an ABC license so beer is available too. 11:00 am might a bit early to have a beer but it is a Saturday. Look for a post from me about this time next week for a report with photos. It's going to be a smashing success with a couple hundred people in attendance. I'm just kidding about the size, two will be cool but I'm expecting a dozen or so. 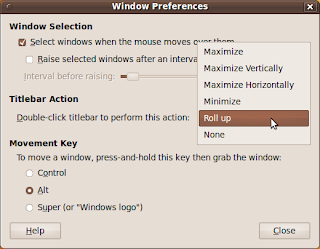 A friend asked about how to get Ubuntu Karmic to skip gdm (gnome display manager) startup on bootup. Removing gdm removes too much due to dependencies. 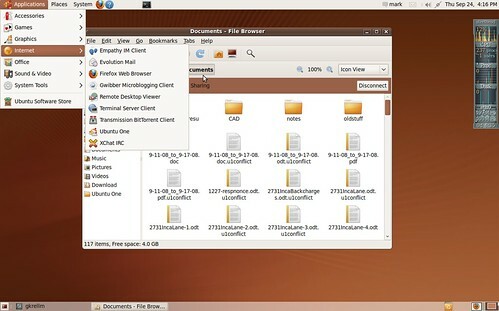 Scenario: Boot Ubuntu Karmic to a console login; login; type "startx" to start the GUI environment, not necessarily Gnome. Thus far the only way I've found to do this is by editing /etc/init/gdm.conf. Change the line that reads "stop on runlevel " to "stop on runlevel ". Then reboot the system; just restarting gdm didn't work on my tests. At this point my test system, which is a Virtual Box installation, boots to a console login as expected. When I issue the "startx" command Gnome starts up as expected _but_ the Ubuntu One client asks for access to the keyring and networking is not started. 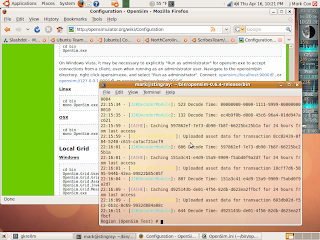 I'm not so concerned about Ubuntu One asking for keyring access as I am about not having networking up. That is rather trivial if one is comfortable booting to a console login. If anyone knows of a better way I'd love to hear about it. This forum post may offer another way but it doesn't take into account that Karmic is using grub2 which means there is no longer a /boot/grub/menu.lst file. I do. I was cleaning out the closet in the bat cave the other week and ran across a cache of floppies. Most were Debian from my days of "dialup desperation". 40 hours to download and install Debian over dialup. I digress...among those floppies were two with nice Kodak wrappers. That got me thinking about the camera that took those shots. It is gone. The camera that I've used for several years; broken by my own carelessness; the camera that I have now and the wonderful woman that gave it to me. Back to thinking, some guy replied to my lug's (google lug) mailing list on a thread regarding ImageMajick. I thought this guy is more gui oriented than ImageMajick likes. Well why not use gthumb? 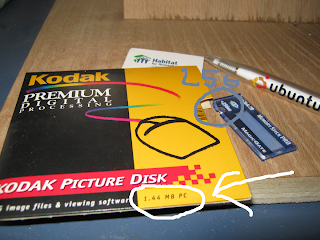 So I took a bunch of shots of old storage media; floppies, see the title of the post. I took 30-40 shots; what the hell it's digital just delete the ones you don't like. Selected seven from my hours of labor (should have been doing laundry). Oh that's the one I used the tools included in gthumb to shift the colors! Well the reader is now bored and expecting something just amazingly great. Hum, aw, uhm well gthumb doesn't have a way to write on a photo. I had to use gimp to do this. But I did open the image in gimp from gthumb. Yep, when I was your age we took 15 floppies to boot up. Ah man I'm supposed to be somewhere else right now...er...okay the last one is, oh me taking a photo of me. I know calm down everyone; sorry I didn't mean to start an internet riot. There is another lynx. It hasn't been around as long as the cat; has been around longer than Lucid Lynx. 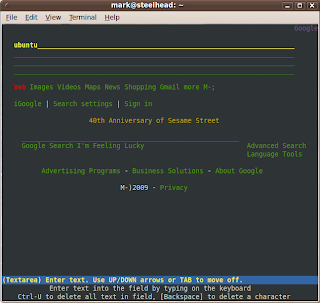 It is a text based web browser named lynx. I've used it enough to have my mc set to use "lynx like" navigation. Oh gee, about the same it did in '99 :) BTW, I couldn't search from the field where I have "ubuntu" entered; I had to go down a few fields to just above "Google Search". I had to upgrade to the Lynx. Oh gee did I spell that right!? Yes I did. Seriously there was a session today during the Ubuntu Open Week about running Ubuntu+1. 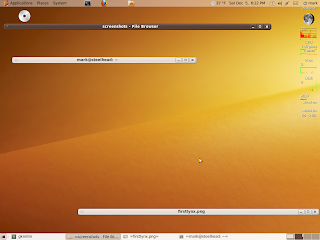 Which is to say running the next release of Ubuntu. To me this is like running Debian unstable; sometimes it's stable sometimes it's not. 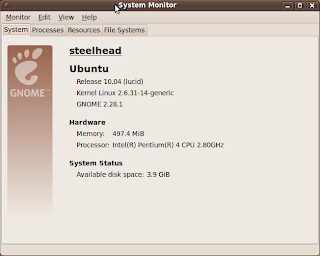 Actually this is the first time I've tried it with Ubuntu. That makes a copy of the current sources list so one can restore it. However if an upgrade goes south it's not all that helpful. That's what *I* want to do. The reader may be more comfortable with another editor; use what you like. I use the gui buttons to find/replace karmic with lucid. Save and exit. Note: a ":x" will save and exit in vim and gvim; one less keystroke than ":wq". After that save and exit be sure to disable any third party repos. I forgot to do that and it has not caused me any problems yet. Let that run; I had 256 packages that needed to be upgraded earlier today; I said yes. Kinda cool to run it this early. I _do expect it to break as that is the point of a development release. 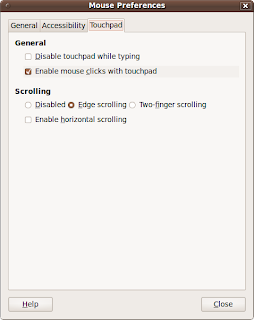 Touchpad taps have been disabled in Ubuntu Karmic and possibly some other distros based on Debian. Probably Debian as well because my research indicates this has made it into the current Karmic from some changes made to Xorg in Debian and brought into Ubuntu Karmic. The developers in their great wisdom strike again. Now no offence developers but I hope you are reading all the posts on the Ubuntu Forums, a poll on Brainstorm and bug reports on Launchpad. This end user thinks the choice to disable touchpad taps by default was completely absurd. I hope it gets changed before Karmic is released. See, very easy to restore what most folks consider normal reasonable behavior. Maybe I should call this part one...er, no. I've tried several screen capture apps on my desktop to capture compiz effects but never tried to do any sort of howto nor anything with audio. Now I'm giving it a go on my laptop; mostly because it displays at 1024 x 768. I've learned that youtube prefers mpg files over mp4's. That's take three. 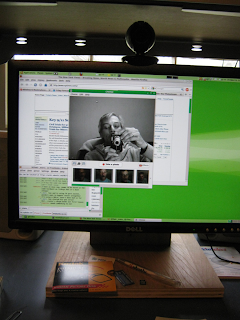 Recorded with gtk-recordMyDesktop, converted to mpg from the original ogv file using DeVeDe. 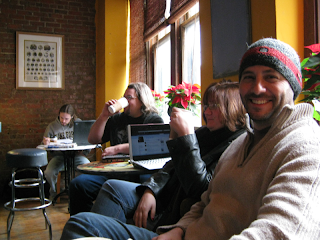 Last night I went to the PLUG meeting held in a local coffee shop. One fellow there is very interested in SecondLife and in running the OpenSim server. 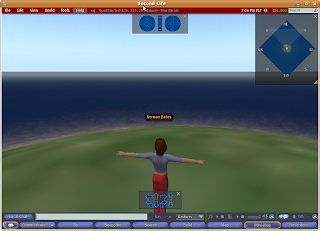 We started looking around the OpenSim site and found the build instructions for Ubuntu 8.04/8.10. I already had some of the packages so I installed what I was missing. Then grabbed the source package from OpenSim. I used the latest stable release not the SVN version. It took 291 minutes to build OpenSim on this machine. Oh, what's the machine you ask. It's a Toshiba Satellite 1415-S173, new in January 2003, 1.8 Ghz Celeron, 386 M ram with 16 being used for the on board nVidia GeForce4 420 Go running the Jaunty Jackalope release of Ubuntu. By this time the meeting was breaking up so I went home to continue playing. Besides the SecondLife viewer won't run on this machine. Once home I continued following the directions on the OpenSim wiki. I copied the example OpenSim.ini.example to OpenSim.ini, read over it, looks okay. Okay here goes...starts up fine and I go through some config steps and I'm off running my own OpenSim server. Very plain jane mind you but running none the less. More in a bit...this thing put the image way up top when I wanted it here. Time to wander back to the bat cave (the computer room). I fired up the current stable release of the Second Life viewer for Linux on spinach (my desktop machine also running Jaunty). I used the suggested command lines from the OpenSim wiki. It stumbled, or maybe I stumbled a few times getting logged in but once in I discovered the character I had created, Norman Bates, had a female body. This is the only screenshot I have of the client on spinach. He's a bit unstable at the moment. I'm sort of testing doing a post with an image. Well inserting the image was easy enough. But it's not quite where I want it in the post. I'd like my text to start above the image. 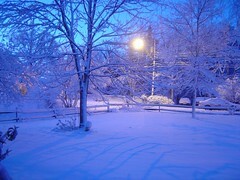 This was taken about 6:30 am on the one day it snowed this year. Well snowed to amount to anything.